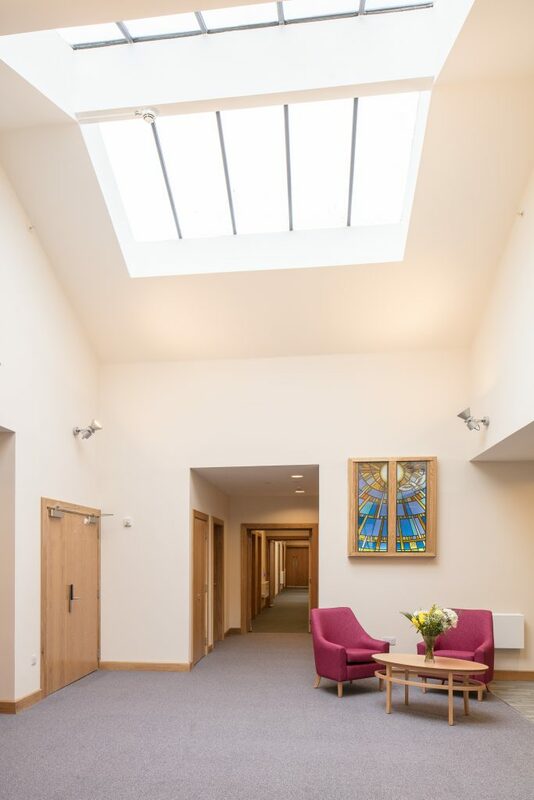 St Andrew’s Hospice in Airdrie, some 12 miles to the east of Glasgow, has reopened after a £9m refurbishment designed and managed by award-winning Newcastle-based architectural practice, JDDK Architects Ltd. 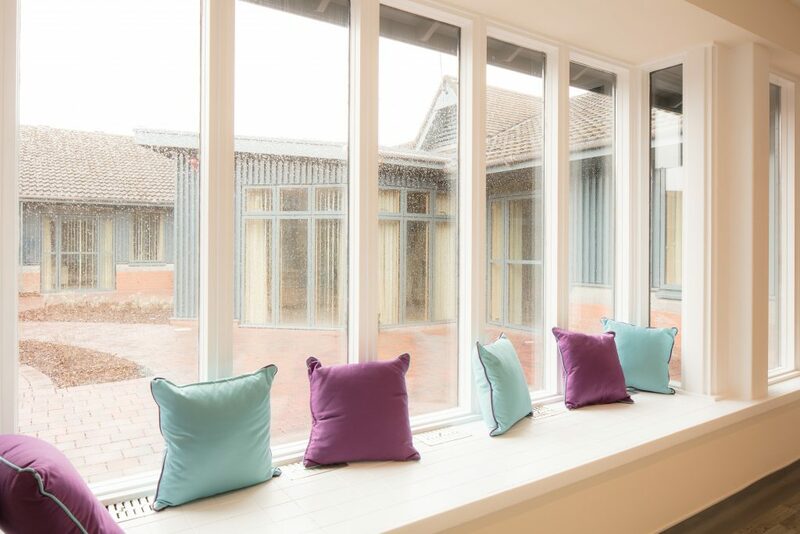 The original 80’s building has retained its existing façade but been transformed internally to create 21 single bedded rooms with en-suite facilities together with three multi-occupancy rooms. 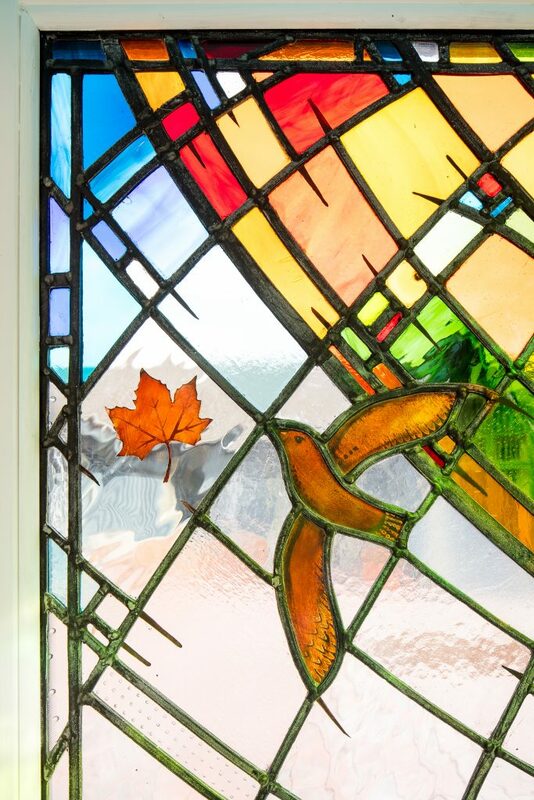 All rooms now have direct access to the surrounding gardens, with some rooms providing space for relatives to stay overnight whilst a separate patient entrance has been created providing discreet admission to the wards. 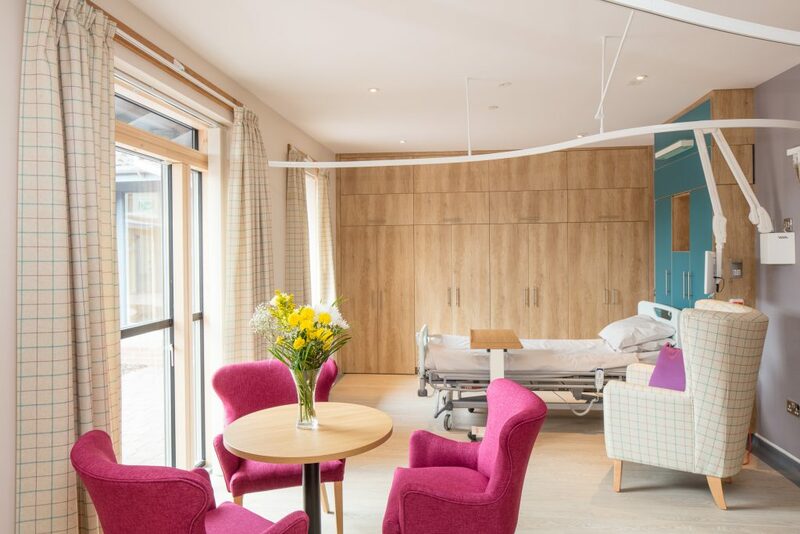 During the year long project, undertaken by CCG Construction of Glasgow, the hospice’s patients were transferred to nearby Wester Moffat Hospital. 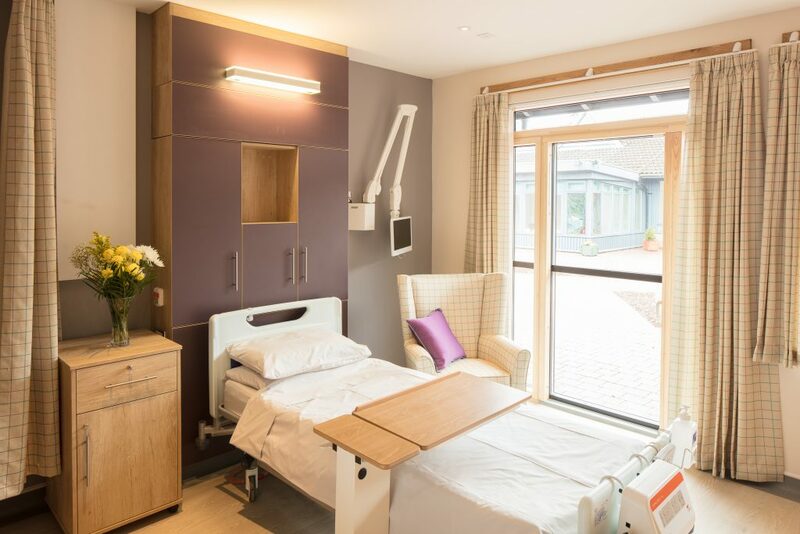 The JDDK design has rationalised the patient area into two working wards with ward facilities relocated in internal spaces allowing the external walls to become windows and doors from individual patient rooms. 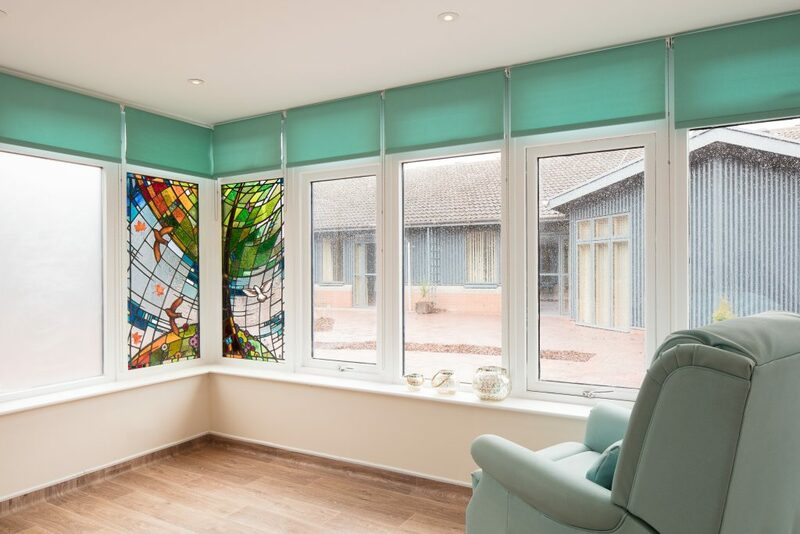 Support services, including laundry facilities, staff areas, offices and counselling rooms have all been rationalised and relocated into different areas to maximise the available space for patients, relatives and staff. Externally, four small extensions include an extension to bedrooms, new staircases to first floor spaces and a surrounding pergola to provide solar shading.